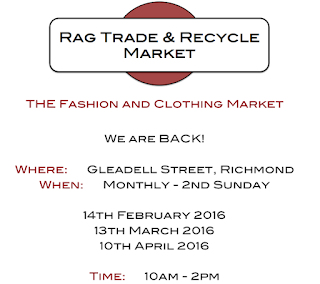 Last Sunday I had a pop-up SALE stall at the Gleadell Street, RAG TRADE & RECYCLE MARKET, in Richmond. The sun blessed us with about 30oC and those without gazebo's were a bit toasty. Luckily that gorgeous breeze gave some relief. The foot traffic was great with locals out for brunch and those on their way to the gym or park with their pooches... (everyone on holidays in Sorrento...YOU MISSED OUT BIG TIME!). The recyclers & local designers with popups were happy to have great cafés (ie; COFFEE) and ATMs near by too. 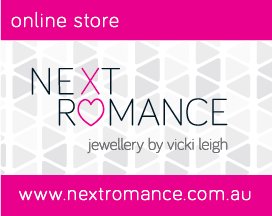 I showed my 'Next Romance' popup shop stall with (Handmade in Richmond) Sample and Sale jewellery pieces as well as some recycle fashion, including good quality designer label pieces; Alannah Hill, Sass & Bide, Country Road, Witchery, etc. Some of my #NEXTROMANCE instagram friends came to buy sale stock and many passers-by were excited to see this kind of market and were asking when it's back again. 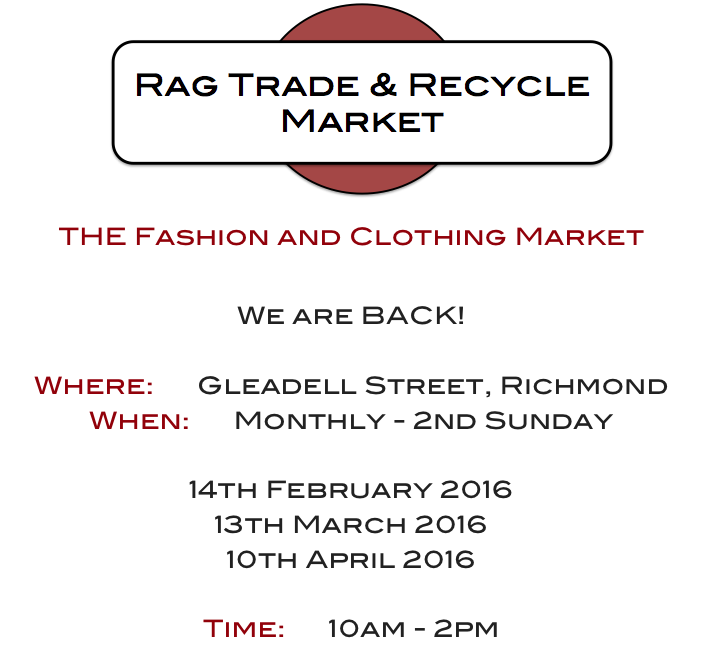 Thanks to the crew that organised a great quality fashion recycle market for locals and one that I think, given the great public transport access, will bring others into our hood to catch a bargain. I purchased a gorgeous MARC by MARC JACOBS leather handbag and an adorable little black dress and have my eye on a locally designed Skateboard deck for my son (amongst other possible purchases I had to resist). 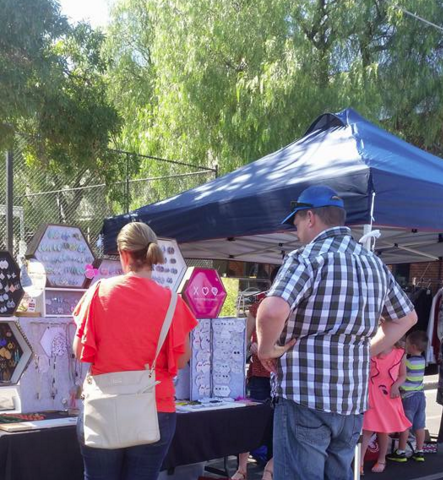 GREAT MARKET, LOVED IT!